LOMBOK: Siti Nurjanah is lucky to be alive. 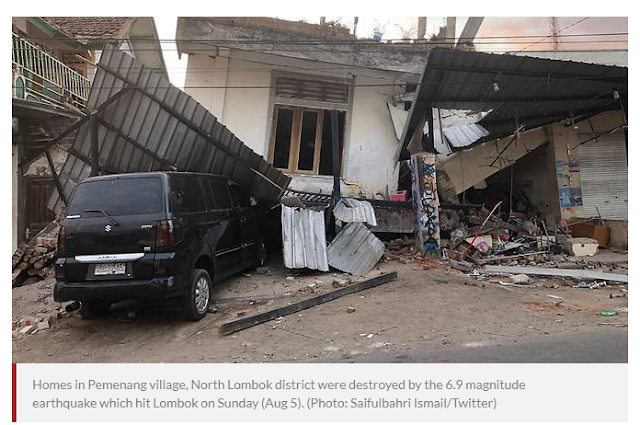 The 32-year-old survived the 6.9 magnitude earthquake that rocked Lombok on Sunday (Aug 5), but she lost almost everything else. "My little sister's son was only one-and-a-half years old," said Siti Nurjanah, trying to hold back tears. Siti Nurjanah is trying to survive, but like her, other residents of Pemenang village are finding the going tough and said they are not getting enough help. Some communities in the worst hit area of North Lombok district said they have yet to receive aid two days after the powerful quake. More than 70 people were killed in North Lombok, and thousands of homes were levelled by the quake. “We are hungry, there is nothing yet. We don’t blame the government, or anybody else, but we need water, food and other things," said Wahyudi, a resident of Pemenang village. "HELP CONTINUES TO POUR IN"
Other villages in North Lombok district are more fortunate. Residents in Tanjung village said they received some help from local authorities on Monday, a day after the earthquake. “We received help like ground sheets, drinking water, instant noodles, but there are only enough for a few days, maybe two to three days, and then it's finished," said Budiawan, head of Tanjung village. "There are a lot of people in our evacuation post, but the relief distribution is not enough. We really need the help of many parties." Indonesian authorities are stepping up relief efforts for victims of the Lombok earthquake to ensure help gets to those in need quickly. 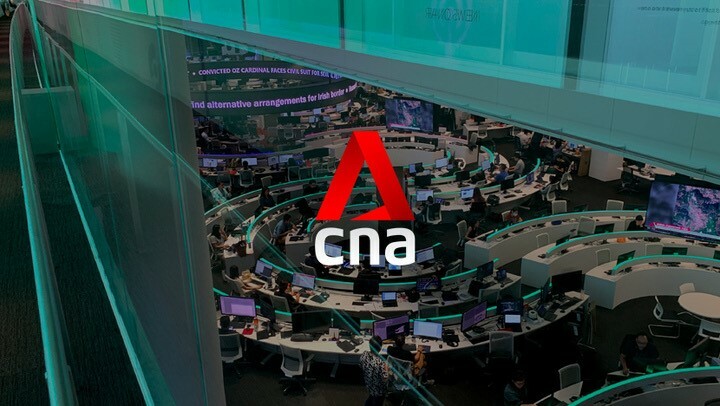 The National Disaster Mitigation Agency has sent 21 tons of relief aid to affected areas with more expected to come in the days ahead. "Help continues to pour in from Jakarta, Surabaya and Denpasar. We are building a national assistance post in North Lombok because that is the hardest hit area," Sutopo Purwo Nugroho, spokesman for the National Disaster Mitigation Agency, told reporters during a press briefing on Tuesday. Besides relief supplies, quake victims also need items like blankets and tents. Many have been spending their nights in the cold, setting up makeshift tents in the paddy fields because they were too afraid to stay inside their damaged homes. 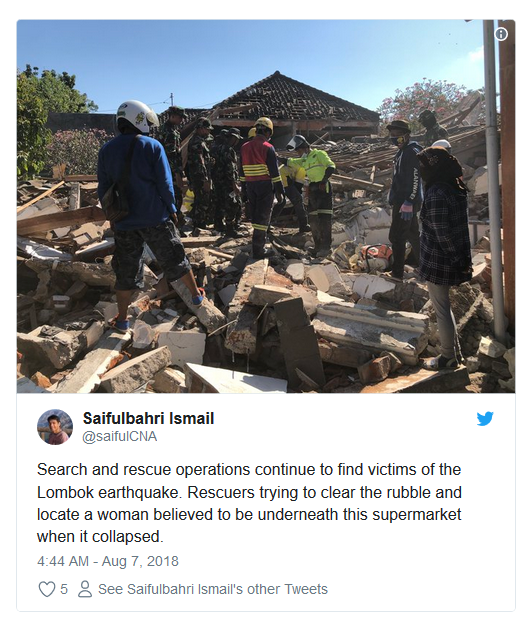 Meanwhile, search and rescue operations continue to find victims of the Lombok earthquake. 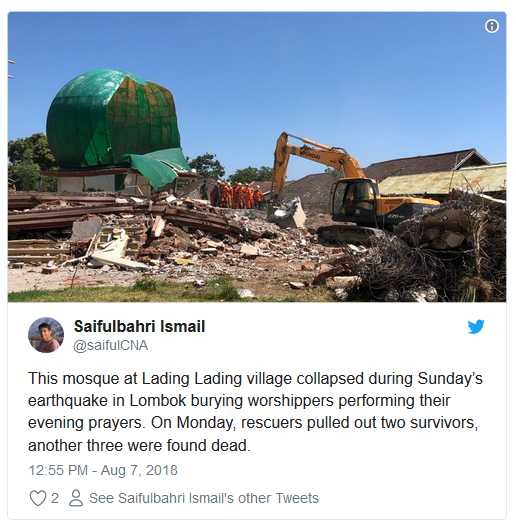 One search location is centred at a two-storey mosque in Tanjung village which collapsed, burying a group of worshipers doing their evening prayers. On Monday, two survivors were pulled out alive, and three others found dead. Meanwhile, rescuers work on tirelessly, removing layers of concrete, hoping for another miracle.